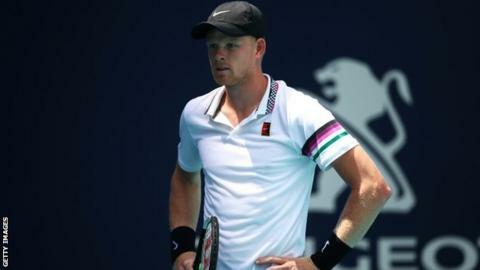 British number one Kyle Edmund is out of the Grand Prix Hassan II in Marrakech after losing to Jo-Wilfried Tsonga in straight sets in the last 16. The third seed was beaten 7-6 (8-6) 6-3 in one hour 29 minutes. The early exit comes a year after Edmund reached the final of the clay court event, his maiden ATP final. Tsonga has a career-high ranking of fifth in the world but is now ranked 116th, 94 places below Edmund, as he recovers from knee surgery. The Frenchman will play Italian qualifier Lorenzo Sonego in the quarter-final. In the men’s doubles, Britain’s Dom Inglot and partner Rohan Bopanna beat Roman Jebavy and Andres Molteni 0-6 6-3 10-8.